This past year has been one of surprises in the car industry. New car sales have struggled along, underperforming and simply falling short of what many experts expected. Sales on used vehicles, however, took its own path. In a departure from years gone by, used car values held their own, even after the beginning of summer. Traditionally, this was when used vehicles would see their value begin to drop. The reason for this change appears to be the result of some misfortune and some good timing. Losses from hurricanes and extreme storms in 2017 absorbed much of the use car inventory, keeping supply from becoming bloated. In 2018 the market also saw plenty of gently used off-lease vehicles enter the used car market which helped bolster the appeal of buying used over new. SUVs, luxury brands and high-end trucks may have received plenty of media attention this year but, in the end, people wanted to simply get back to basics. Sales for used compact and midsize sedans saw a bounce for the first time in awhile – in the used market at least. Meanwhile, luxury cars, SUVs, subcompact luxury CUVs, and near-luxury cars all saw depreciation on the higher end of the scale throughout the year. The problem may be high competition but low demand. With a clear trend toward economy and functionality, luxury cars simply can’t compete. While luxury cars have always depreciated at a slightly greater rate than their economic counterparts, the difference is usually around 3 to 5 percentage points. In 2018, however, midsize cars depreciated at a 10% rate while luxury cars depreciated at 19% – nearly double the rate of other cars. As we prepare to enter the new year, we do so with a healthy market in used car sales. The economy has experienced incredible growth with GDP rising 4.2 percent in Q2 and 3.5 percent in Q3. While there has been jobs added to the economy, limited growth in real income means affordability is at the top of the Wish List for car buyers. With that in mind, the prevailing belief is that the market will remain healthy as prices for new cars continue to rise. Aside from the obvious differences in price, customers are becoming increasingly savvy when it comes to finding value for money. Off-lease vehicles and the ability to browse used stock nationwide has driven up inventory quality across the board. Dealerships, as well, have found better value in offering high-quality used cars. In a year that saw profit margins on new cars shrink, those same margins on used vehicles bloomed. The combination of quickly absorbed stock, the influx of off-lease vehicles and a target audience with a focus on value created the perfect environment for a banner year in used car sales. While it’s unlikely the industry will continue to see such headline making progress for another full year, the market in 2019 is expected to remain stable. Off-lease returns will total 4.2 million in 2019, which should yield another wave of high quality inventory. Overall demand is driven by the national economy which is projected to be strong but not quite as strong as it has been in 2018. Interest rates, meanwhile, will be higher which fuels interest in the used market as well. 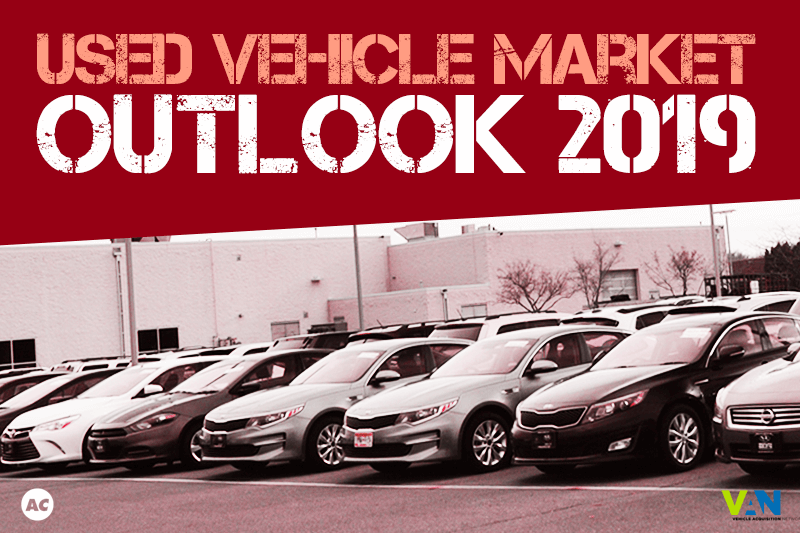 Overall, it’s expected to be a good year overall for the used car market.